The market for virtualization is growing: Recent predictions suggest steady growth in the data virtualization market over the next four years to more than four billion dollars, even as companies come to grips with the widening gap between critical IT jobs and the number of skilled professionals needed to fill them. There’s also another challenge for organizations and virtualization experts alike: Helping the C-suite understand and appreciate the value of virtualized tools, training and deployments for long-term business strategy. Here’s how IT pros can help build the business case for virtualization management, security, and innovation. This focus on business value is part of a larger trend in IT: No longer considered a mere “cost center”, IT teams are now tasked with justifying investments such as security, big data, and cloud computing — all of which are underpinned by virtualization. As a result, it’s not enough for IT experts to simply know the ins and outs of their own department; they must be able to draft a business case that gets the attention of C-suite executives and keeps budgets on track. How? The key is understanding business priorities. 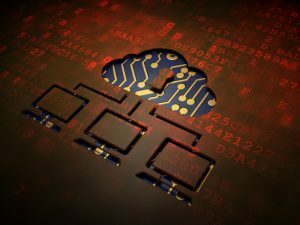 As noted by Information Age, recent survey data shows that 91 percent of CIOs are aiming for on-premises to cloud migration in the next five years, with 61 percent looking for significant cost savings. But making the move requires both a stable virtualization framework and IT pros capable of handling the transition, necessary even if companies opt for third-party solutions. This type of knowledge provides the foundation of any IT/business case: Executive aims combined with critical benefits. Along with a solid business pitch, IT pros must understand how to frame data so it delivers maximum impact in the boardroom. Here, trends are key — while technology professionals often focus on specific data points or outcomes, C-suite executives must look longer-term to evaluate business potential. IT experts with deep knowledge of virtualization across multiple environments and networks are better positioned to extrapolate key trends from large-scale data sets. As noted by CIO, IT professionals now need “soft skills” to succeed. One of the most critical? Communication. This is critical in making the business case for virtualization budgets and technology as the precursor to effective cloud deployments, especially given the common practice of conflating virtualization and cloud processes — while virtualized environments can exist without being clouds, any effective cloud deployment requires a solid virtual base. Making the case here means doing more than presenting hard data: IT professionals must create a narrative around the value of virtualization management and effectively translate technical jargon into more familiar phrases that C-suite members can identify with and understand. Also worth noting? Given the demand for executive attention, most presentations get 15 minutes or less to make their case. Compelling, clear communication is key to selling the C-suite on tech investment. IT teams also need allies to help advance the cause of fundamental technology in the organization. While it’s helpful to onboard staff from marketing, HR or sales this has limited impact on the board itself; they’re often more responsive to executive-level champions willing to step up for IT spend. Here’s what you need to know: While CIOs and CISOs are the obvious choices here for executive support, they don’t always get a seat at the boardroom and are often so bogged down with their own concerns that they’re unable to offer the kind of backing IT teams need to drive the point home. Instead, consider working with more established C-suite members such as CFOs. Why? Because there’s now enough reliable data to clearly demonstrate the cost-effectiveness of cloud deployments driven by agile virtual management. The high likelihood of significant cost reduction puts the CFO on your side and gives you an invaluable ally in the boardroom. As many organizations lean into merit-based career advancement, C-suites are filling up with skilled professionals who are the best at what they do. The result? To convince the board that more spending on virtualization resources or management is an effective business strategy, IT pros must be at the top of their game. Along with clear demonstrations of excellence on the job day-to-day, technology staff must also have the training and credentials to back up their in-house reputation. Given the breakneck pace of IT development and deployment, however, it’s often difficult for tech professionals to find time for training and certification; free online options like Cybrary’s Virtualization Management course let you work at your own pace to discover more about deploying, updating, monitoring and maintaining virtualized applications and environments, and prepare you for eventual certification. IT no longer exists in a virtual vacuum. Making the case for virtualization-driven cloud deployments requires IT pros to recognize the big picture, effectively frame their data, improve their communication skills, find C-suite allies and embrace the need for ongoing, expert training.